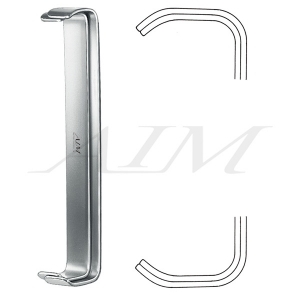 Luer "S" Shape Retractor is double-ended and contains curved blades on opposing ends that are slightly different sizes. As a result, "s-shape" term refers to the fact that the blades are on both ends and opposite from each other. 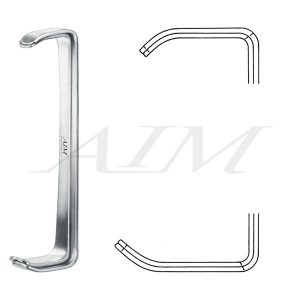 This retractor may be used to pull back the walls of the abdomen during procedures such as laparotomy.